ka'ach bilmalch: savory cookies — Mel bakes things. For Christmas, one of the awesome things my mom gave me was the Jerusalem cookbook. I promise, I'm not being coerced into talking about this book, this is all because I want to. I had thumbed through the book a couple of times while out shopping, but had never spent much time looking at the recipes or photographs...let me tell you, this book has some of the most gorgeous photos I've ever encountered in a cookbook! It helps, of course, that the recipes are pretty much brilliant (or, at least the recipes that I've tried so far have been brilliant). 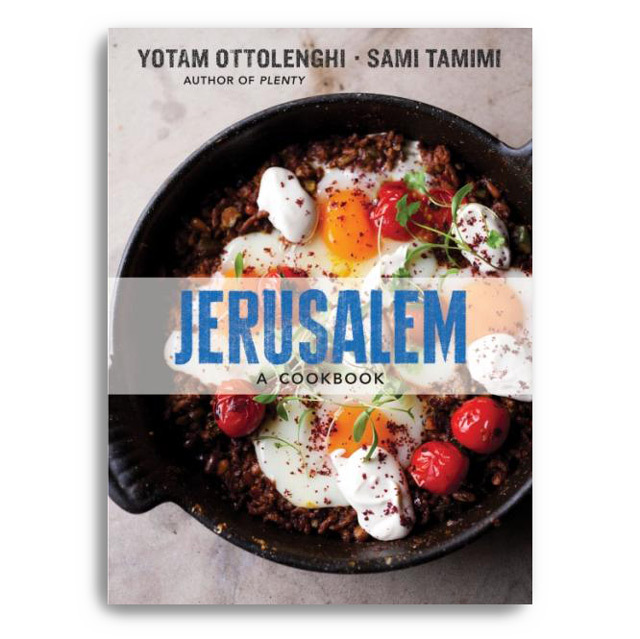 The book tackles the cuisine of Jerusalem, which encompasses food with origins in a variety of different cultures, religions, countries and even continents. If you had a Middle Eastern grandmother, I have a feeling these are the types of things she might make, with a slightly updated twist. That said, at first glance you might be scared off. You might think that as gorgeous as the photographs are and as delicious as the recipes sound, there's no way you'd be able to find the ingredients. The best part about this book, is that you're totally wrong. The recipes are very attainable. For any ingredients you may not be able to find at your local grocery store, harissa and za'atar for example, the authors provide recipes and/or alternatives. Something to know, though: many of these recipes take some time to complete, or involve some spread out steps. That doesn't bother me, as I tend to plan ahead when cooking something more complicated. And, in my opinion, there are plenty of recipes that take barely any time at all and are equally delicious. These savory cookies are surprisingly tasty and addictive. The cumin and anise flavors are subtle, and the texture keeps you coming back for more. They last for over a week, if kept in an airtight container once they're cool. I halved the recipe when I made them, which is probably a good thing because I have very little self control when it comes to snacking and I made these during the polar vortex, and what else do you do when you're stuck inside for 48 hours besides eat? Preheat your oven to 400F, and line a cookie sheet with parchment. Add flour to the bowl of your stand mixer. Make a well in the center of the flour. Add the vegetable oil to the well, followed by the butter, yeast, baking powder, sugar, salt, cumin, and anise. Using the paddle attachment, mix the ingredients on low speed until a dough forms. Continue mixing on low speed, and add water a little at a time, until a smooth dough forms. You may need to use all 6 tablespoons, or, you might only need 3 or 4. Turn the dough out onto your counter, and knead for a few minutes. Divide dough in to 1 oz. balls (I ended up with 17 from this recipe). Roll each ball in to a 5 to 5.5-inch long snake, and then form into a closed ring. Place on cookie sheet about 3/4" apart. Brush each ring with beaten egg, and then sprinkle on the sesame seeds. Let sit for 30 minutes to proof. Bake for 20-22 minutes, until golden brown.